On April 11, 1912, Abdu’l-Baha arrived New York City, greeted by an excited crowd of Baha’i’s, including the artist Juliet Thompson. She accompanied him all over New York, as he addressed and gave talks to crowds throughout the region, including one in her home on West Tenth Street. Abdu’l-Baha would make countless visits and stays in Juliet’s brownstone home. He had been all over their house and blessed every corner by the time his period in New York was over. Abdu’l-Baha would often sit in a black oak armchair in her studio, a room that he loved very much. The height of Juliet’s artistic career came when Abdu’l-Baha agreed to have her paint His portrait. He had always encouraged her art, and would often share that it was the same as worship. The original of this life-sized portrait has since disappeared, but there are photographs of the painting still in circulation today. Abdu’l-Baha actually encouraged her to paint in oil so that she wasn’t “Limited to one medium” perhaps knowing that it would last longer than pastels. You have two arts. One physical the other spiritual. With your physical art you paint the images of men; with your spiritual art you paint the images of the angels and at last I hope you will be enabled to paint the perfections of God. Your physical art will at last end, but your spiritual art is everlasting. Your physical art can be done by many, but your spiritual art is not the work of every one! Your physical art makes you dear to men, but your spiritual art makes you dear to God. Therefore, work to perfect both of them! – Juliet Thompson, A Persian Reformers View of Art, featured in The Art World, March 1917. Throughout her life, Juliet was an advocate of peace and fearless teacher of the Baha’i Faith. She was an unconventional rebel, unafraid of challenging the establishment, always honest and forthright. It was Juliet who arranged for Abdu’l-Baha’s first public American address to be held in the Church of the Ascension on April 14, 1912. There, Abdu’l-Baha sat, unbaptized in a red plush bishop’s chair, as Rev. Grant who was Rector of the Church, instructed him to. This was in violation of church protocol and created a great controversy. Over the course of five decades, the home of Juliet became a haven and refuge for the curious, the creative, the distressed and the youthful. No matter their age, gender, skin color or economic status, they were welcomed with love and accepted. Juliet’s warmth, sincere love and admiration for the Faith and for humanity was so contagious that many people who walked through the brownstone doors on 48 West Tenth Street were drawn to and strengthened by the Baha’i teachings. One of these figures was the renowned poet Khalil Gibran, an acquaintance and neighbour of Juliet. 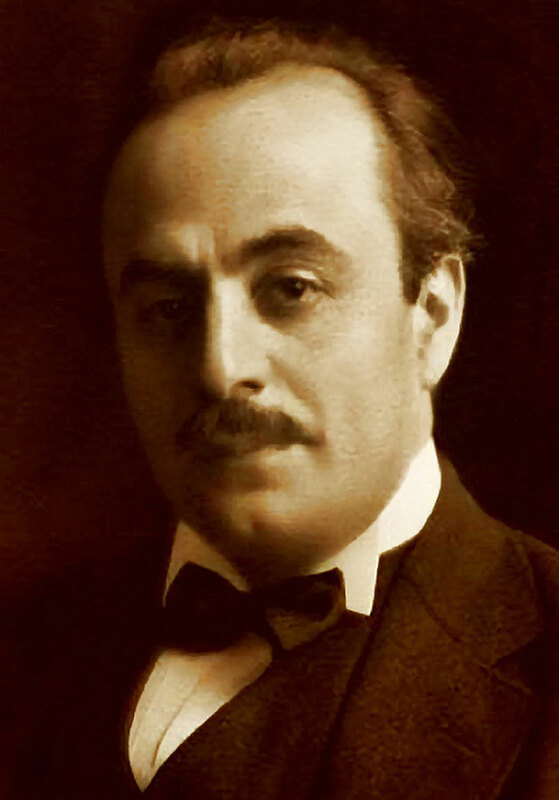 Although Gibran met Abdu’l-Baha a few times he did not become a Baha’i, but recognized the nobility of his message and admired his writing. 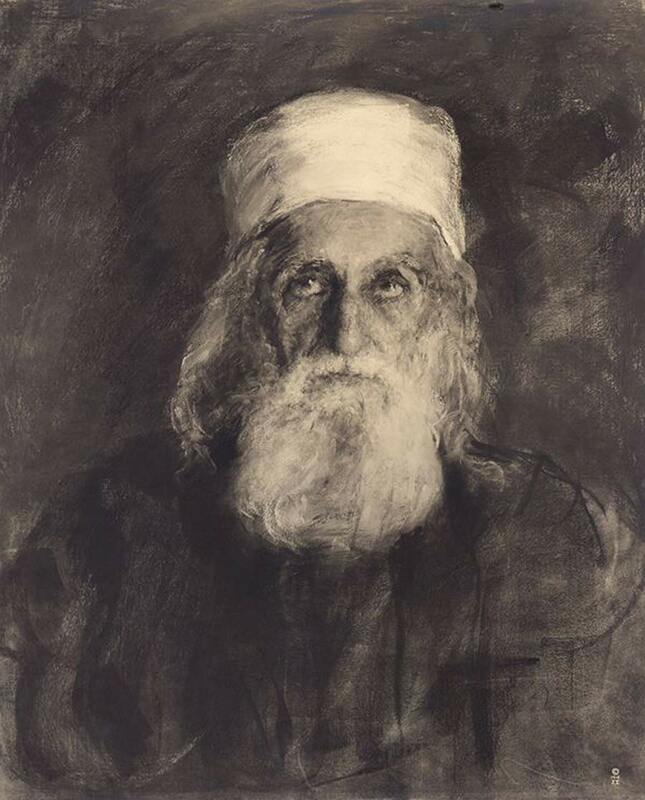 Gibran also painted a portrait of Abdu’l-Baha. Others who accepted the Faith by being exposed to it in their home were the painter Mark Tobey and the actor O.Z. Whitehead. Because of her advocacy for peace and equality, particularly during the First World War, great depression and women’s suffrage movements, Juliet came into contact with many government officials who would often attend her gatherings and were always quick to learn of the origins of her message. Throughout her service to the Baha’i Faith, Juliet continued to work as a portrait artist, and remained active in the art community of New York and D.C. She frequently exhibited, became a member of the National Arts Club and sat on the Board of Control of The Pastellists. She continued to learn under American painter and teacher Kenneth Hayes Miller in New York. Juliet’s creative inclinations, social status in D.C., and Greenwich Village residence enabled her to mingle with the artistic and the elite. Among the portraits she painted during her career, were Princess Julia Dent Cantacuzène Spiransky-Grant, avant-garde artist Baroness Von Freytag-Loringhoven, First Lady Grace Coolidge, Reverend Percy Grant, Abdu’l-Baha and Bahiyyih Khanum, Abdu’l-Baha’s sister. Juliet also donated much of her art in support of various philanthropic causes, such as free health clinics, Women’s Suffrage movements, and support for families of World War One veterans. Juliet never married. Although many men sought her hand, including prominent Baha’i’s who also happened to be quite wealthy, her friendships with them remained platonic. 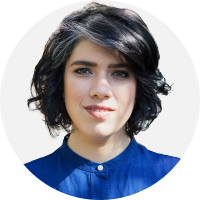 Abdu’l-Baha wished that she would marry prominent architect Mason Remey, but she declined. For seventeen years her heart belonged to Percy Grant, a controversial and strong-willed clergyman, who was the Rector of the Church of the Ascension where Abdu’l-Baha spoke in April 1912. Although he loved Juliet, he was known to be a lady’s man, and would often have multiple female interests at any given time. When Abdu’l-Baha got word of this, he advised Juliet that they must either marry, provided Percy agree to commit to her, or break up entirely. Juliet decided on the latter. It is said that Percy offered to host Abdu’l-Baha, who he admired very much, in his church as a peace offering. In 1926, Juliet participated in her second pilgrimage to the Holy Land. Mary Maxwell, the daughter of her friend May Bolles and future wife of Shoghi Effendi, accompanied her. Juliet continued to write in her diary while on her visit and document her interactions with Shoghi Effendi, grandson of her spiritual mentor, Abdu’l-Baha. Upon her arrival home, she began to write her pen portrait of Mary Magdalene, a woman whose life had also been deeply influenced by faith, and one that Abdu’l-Baha would compare to Juliet’s. Juliet’s book I, Mary Magdalene was published in 1940. Around the same time her book was published, Shoghi Effendi asked her to assist in the teaching efforts in Mexico. She graciously accepted his request and made several extended trips to promote the teachings of the Faith. Throughout her time in New York, she never stopped her regular meetings in New York and was a pillar of that community to the end of her life. Abdu’l-Baha would often praise her for her truthfulness. She always had strong opinions and was openly expressive about how she felt things should run. Yet, when it came to her personal life, she was always extremely private. Juliet was truly blessed, and she knew it well. Having spent time with Abdu’l-Baha in the Holy Land, in France, then on Lake Geneva in Switzerland, and hosting him for many months in New York, she held the truest accounts to all their conversation and encounters. Perhaps she wanted to keep these memories to herself. Abdu’l-Baha was known to say that Juliet was one of his favorites. He loved her like a daughter, guiding, encouraging and sometimes chastising her, much of which is now captured for posterity in her memoirs. Marzieh Gail recounts that “She was only one, [Abdu’l-Baha] said, that future queens would envy, only one who would be remembered long after the rest of us were gone and forgotten.” – Ibid. Toward the end of her life, Juliet cared very little about her art, or even the city which she had once fallen in love with, New York. All she wanted to do was serve and teach the Baha’i Faith. Incapacitated by a serious heart condition, she continued to involve herself as best she could in teaching and serving the Faith. Many did not know how much she suffered because of her vibrant spirit and youthful disposition. She passed away in her new home at 129 East Tenth on December 9th, 1956. … pay befitting tribute (to the) imperishable memory (of) one so wholly consecrated (to the) Faith (of) Baha’u’llah (and) fired (with) such consuming devotion (to) [Abdu’l-Baha]. – Shoghi Effendi, December 6, 1956. Thank you for this wonderful tribute to Juliet Thompson. Yes, sadly the portrait she painted of Abdu'l-Baha was lost in a fire. However, in the Los Angeles Baha'i Archives we have two sketches that she did in preparation for the portrait.